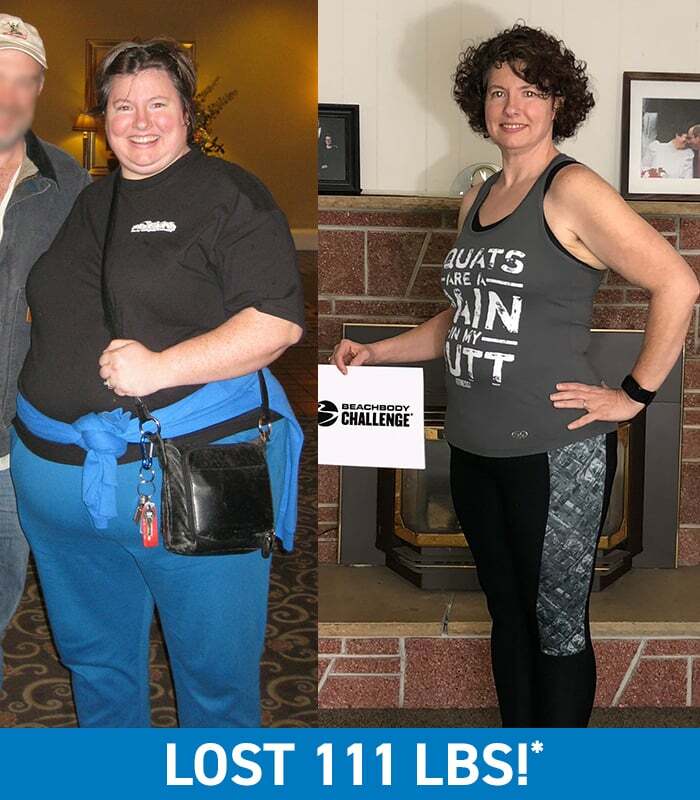 Lori Zold, 44, had been overweight her entire adult life; she hadn’t been below 200 pounds since she was 18 years old – that is, until she found Beachbody. 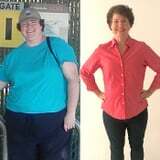 Here’s how the mom used the popular fitness program and its supplements Shakeology and Beachbody Performance to lose over 100 pounds and gain a new sense of self. POPSUGAR: Tell us about your life before you started the program. How did you feel about yourself and your body? Lori Zold: I have been overweight my entire adult life. I gained 60 pounds with my pregnancy and then 60 pounds after that. With each child, I gained more and more weight. I hated my body. I hated mirrors. I never wore nice clothes or jewelry because I didn’t want anyone to see me. I never had the energy to do anything with my kids. Even taking them to the park was a challenge. I’d take them out and would have to come home and take a nap. I was depressed and miserable, even after I divorced and remarried someone amazing! The negativity in me was huge and it affected everything around me. PS: What inspired you to change your life and begin your transformation journey? LZ: Three things happened that inspired me to change: first, my best friend got sick and ended up losing a ton of weight. She managed to keep a bunch of it off even after feeling better. I knew I could do it, too. The second event was that I stepped on the scale and it read 300. I knew it wasn’t the largest I had ever been, but it was the largest I had ever seen on a scale for me. However, the final straw was when I had to get headshots taken for work. I almost called in sick that day and cried and cried because I didn’t want to get them done. I was being held back by my weight and I was over it. PS: What is the greatest challenge you faced before beginning the program? How did the program help you overcome it? LZ: Realizing that I was worth it and that I deserved a better, healthier life. Listening to Autumn [Calabrese, Beachbody Super Trainer and creator of the 80 Day Obsession and 21 Day Fix] say “it doesn’t get easier, you get stronger” really hit a nerve with me. I felt very empowered and that empowerment helped me see my worth. Getting my head right about food was a big challenge, too. The container system is amazing for this. I had some knee and ankle problems as well, but there were always modifiers, such as low-impact versions of exercise moves, and I was always made to feel like I could do a program. PS: What in particular did you like about the program you chose? LZ: I liked different programs for different reasons. I liked 21 Day Fix because I felt like I got a little stronger every day, and Autumn’s phrases like “it doesn’t get easier, you get stronger” really resonated with me. With ChaLEAN EXTREME, lifting the heavy weights gave me such a sense of power. Frankly, I felt like a badass. With 21 Day Fix Extreme, it challenged me, and I loved it. Shaun Week showed me that I was stronger and could do more than I ever thought I was capable of. Lastly, Shift Shop was the real game changer. It pushed me harder than any program, yet Chris [Downing, creator of Shift Shop] was so motivating and inspiring. I pushed myself to the edge almost every time. I knew he had my back. I also liked that he would answer questions on Facebook if we needed them. PS: Describe the results you achieved with your Beachbody program. Which achievements are you proud of? 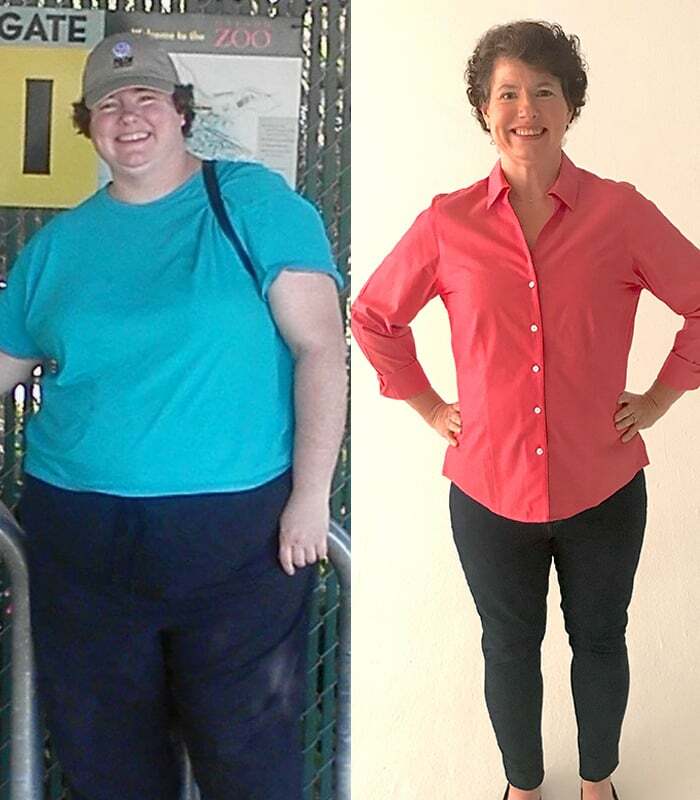 LZ: I have lost 111 pounds since my journey started. I went from a size 3XL to a large. I can finally find clothes that fit. I have not been under 200 pounds since I was 18 (I’m 44). I am most proud of the relationship I have with food. I use food as fuel and not for comfort. I no longer emotionally eat. The biggest change is the positivity I have and express every day. I look back at prior years’ Facebook posts, and I was so negative. Not anymore. I can overcome anything, and that’s something to be positive about. I feel freaking amazing! PS: How has your life changed since completing your Beachbody program? LZ: I’m more confident than I have ever been in my life. I now understand that I deserve so much more in my life. I’m able to do things with my kids. I’m able to go on long hikes or even be out and about shopping all morning without having to come back and take a nap. I am more positive, and I am able to share that positivity with others. I have been told that my positivity has made a difference in other people’s lives. That makes me feel good. That’s why I became a [Beachbody] coach. That’s the biggest change. I’m inspiring others to change their habits and lead a healthy lifestyle. That is an amazing blessing.